Yarn: Too many to list! 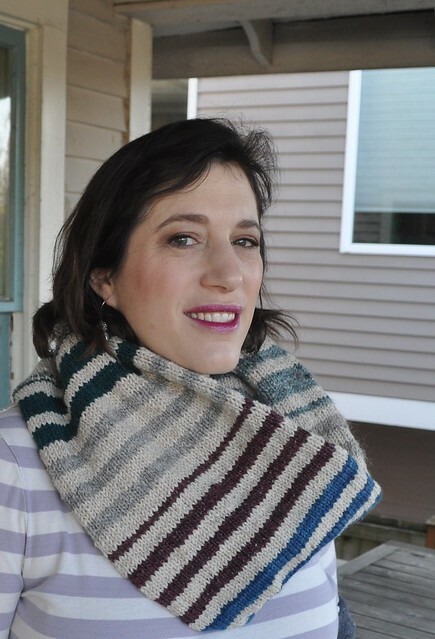 Notes: I was headed to the movies last Saturday and I needed something I could knit in the dark. 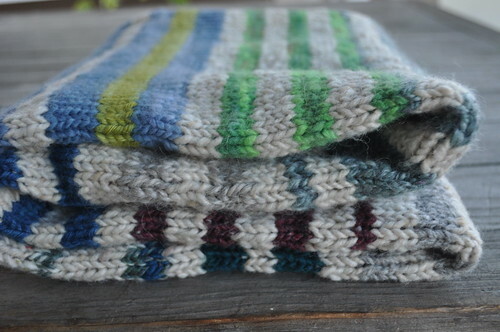 I had been saving a bag of scraps and partial skeins of heavier worsted-weight yarn so I copied Erin's cowl. 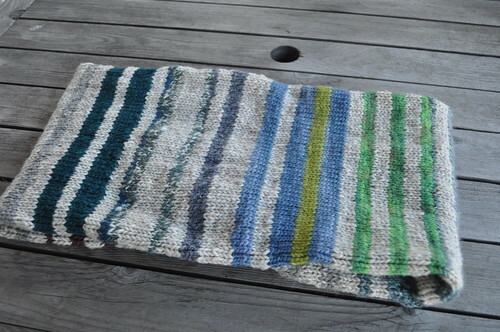 I cast on 80 stitches provisionally and started knitting. 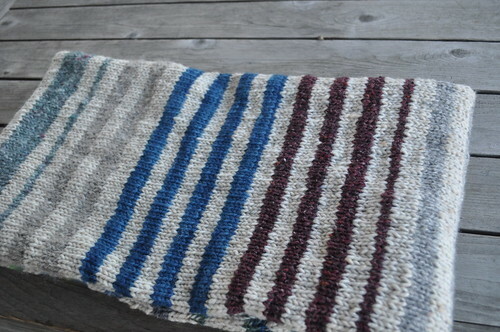 I just kept striping--usually four-round stripes but sometimes more or less--until I ran out of my main color yarn. Then I took out the cast on and grafted the ends together. The stripes do have a jog. I couldn't be bothered to pay attention to making jogless stripes at the movies. It's very, very, very warm and cozy but much wider than I needed. A very fun, fast project though.